The goal from TaylorMade with the P760 irons was simple, provide better players with a set of irons that has a touch of forgiveness in the longer irons without sacrificing playability or feel. I took a 4-iron, 6-iron, 8-iron and pitching wedge to my local golf course for a couple rounds and put the new Taylormade P760s through its paces. 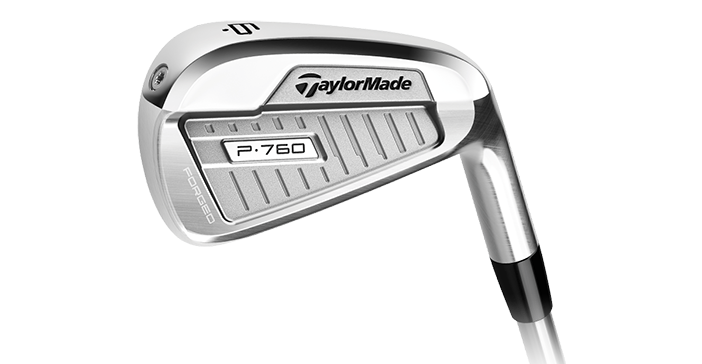 I have to admit, I was a little shocked to see the TaylorMade P770 irons being phased out after one season. The feel and performance of the P770s made them one of my favorites from the past year. I was even more surprised to find out the new line was designed for better players but were also a progressive set that featured SpeedFoam in the long irons. Typically, players irons are a forged construction, but the construction of the P760 irons is a blend. In the 3-7 irons, they have the same style of hollow-cavity, SpeedFoam-filled, forged construction of the P790 irons, and the single-piece, forged iron heads of the P750s in the 8-AW. However, I think the main feature of the club that will draw people’s attention is the leading edge. Visually different, TaylorMade designed a cambered front edge to promote smoother turf interaction through impact and a higher ball flight with more playability. With some rain in the week leading up to my test rounds, I was interested to see how the sole interacted through both firmer and softer conditions. Would the sharp edge dig in or would it glide through the turf like TaylorMade claims? In order to get a good feel for all four of the irons my goal was to avoid driver-wedge as much as possible. Off the tee, I used the 4-iron quite a lot, which left me a wide variety of yardages into the greens. Almost instantly, I exclaimed to my playing partners how hot the 4 and 6-irons felt. 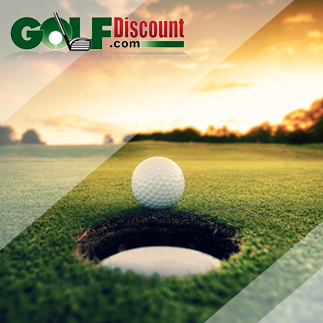 Though, when I checked my distances every few holes with a range finder, I found that the actual yardages were right in line with my forged irons. And, after about 5 holes the 4-iron became pretty automatic off the tee, 225-240 yards down the middle of the fairway. The main difference I saw was a slightly higher ball flight and less side-spin. 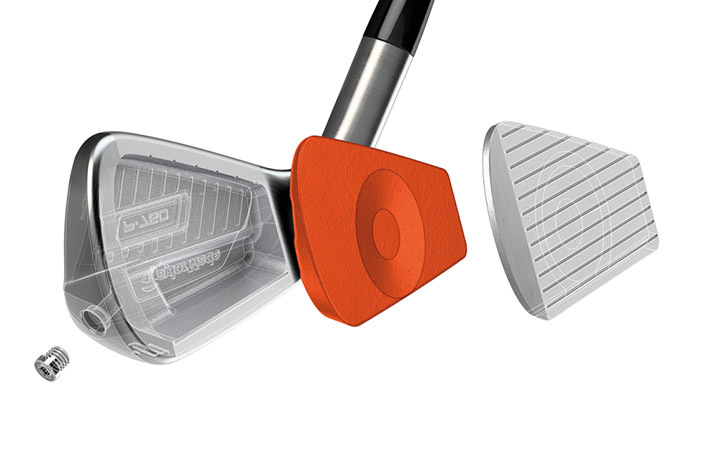 In softer conditions, the higher ball flight from the SpeedFoam and cambered leading edge was beneficial. Where I really saw the benefit of the hot face was on punch shots. The SUS630 steel face combined with the SpeedFoam kept the ball speeds up on short strokes which proved helpful when playing a shot under a low-hanging tree branch. Prior to my testing, my main concern with the SpeedFoam in just the long irons was that it would create a distance gap at transition from the hollow-cavity 7-iron to fully forged 8-iron. Much to my relief, based on the 6-iron distances and 8-iron distances I was hitting, the irons gapped properly. The P760 scoring irons had a similar feel to the P750, but are a little more stable, making them slightly easier to hit. Both the long and scoring irons have a firm yet soft feel. It is an odd feeling to describe, but what I can say is they felt solid and responsive at impact. As for the leading edge? I had no issue bouncing too early or digging down with the edge. The turf interaction was smooth through soft and firm conditions. A compact blade length gives these irons every bit of the look of a players iron, however the top line is a little thicker than I traditionally see on a players iron due to the SpeedFoam fill. 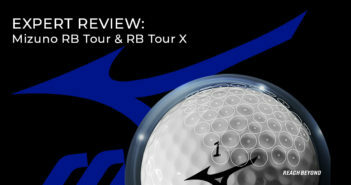 Nothing too out of the ordinary, but it is around the same thickness as a Titleist AP3. Looks-wise…I’m not quite sure what to say here. I don’t hate it, but I also don’t love it. I found the styling of the P770 and P750 irons far more dynamic and exciting. The P760s looks like they either ran out of time or invested all their energy into developing the technology of a progressive set of players irons. Lastly, I’m not sure if it is due to the amount of SpeedFoam used or if TaylorMade has made some technical advancements in their formula or limits, but the P760 with SpeedFoam had a much-improved sound to the P790. It’s encouraging to see improvements in sound and feel as more companies create hollow and filled irons for better players.